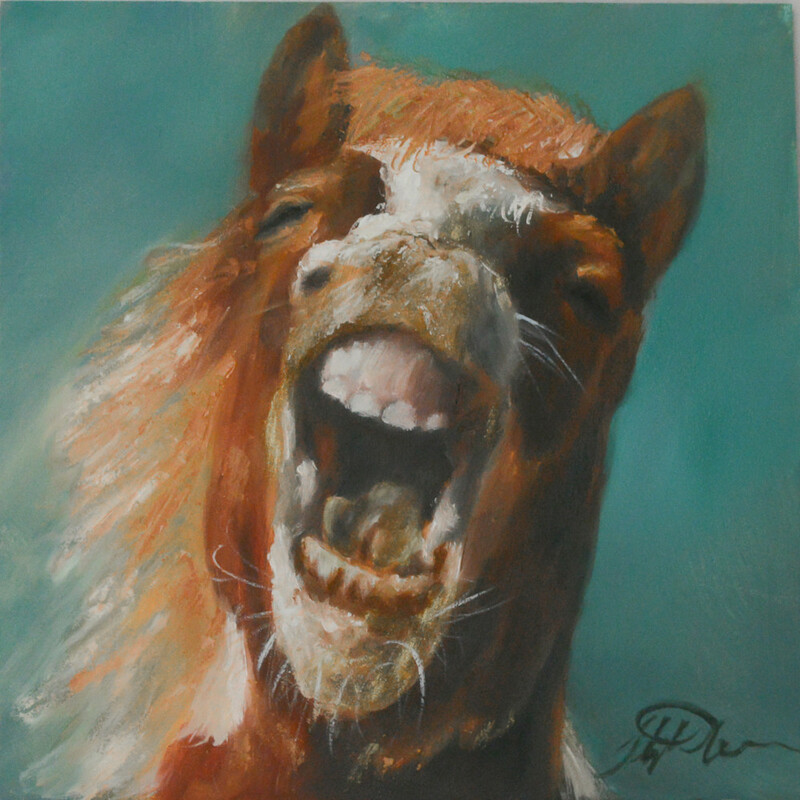 "Horse Laugh" is a fun painting made to make you smile. Having a bit of fun with this one ðŸ˜€. 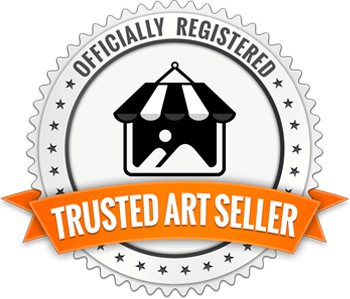 I'm hesitant to even sell this one because I love it ðŸ˜€. I played with a pallet knife and added marble dust to the white and used Gamblin gold in some of the colors as well. These two additional substances really seemed to give more life to the already lively painting. 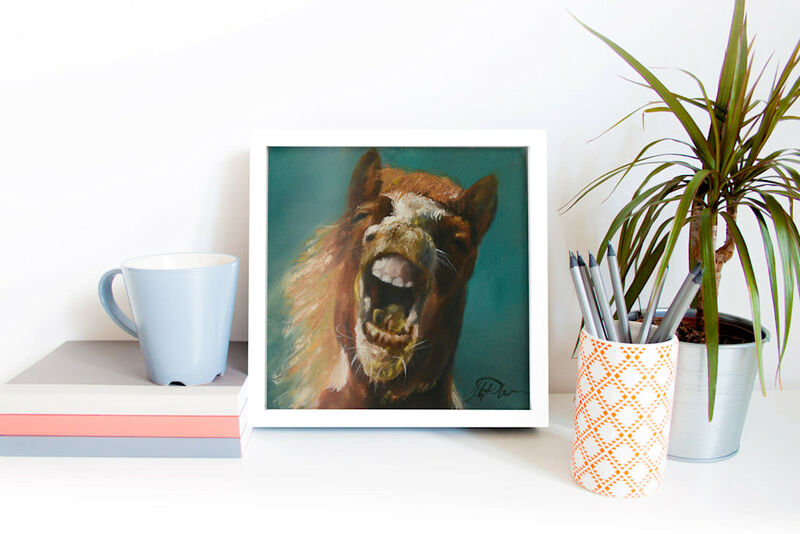 "Horse Laugh" is a fun painting made to make you smile. This is a conversation piece! Having a bit of fun with this one . I'm hesitant to even sell this one because I love it . I played with a pallet knife and added marble dust to the white and used Gamblin gold in some of the colors as well. 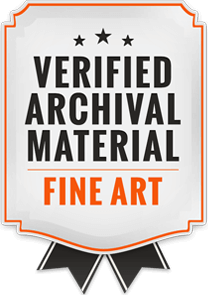 These two additional substances really seemed to give more life to the already lively painting.